Description：The steel cutting ceremony of the no.1 and no.2 vessels of the six 325,000-ton VLOCs surveyed by CCS was held at the shipyard of Qingdao Beihai Shipbuilding Industry on October 19. 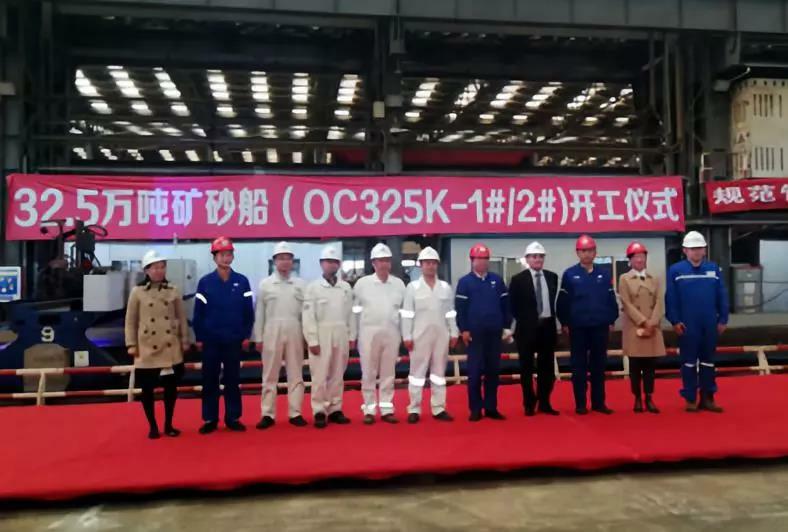 The steel cutting ceremony of the no.1 and no.2 vessels of the six 325,000-ton VLOCs surveyed by CCS was held at the shipyard of Qingdao Beihai Shipbuilding Industry on October 19. The two vessels are a new batch of VLOCs built by Qingdao Beihai Shipbuilding Industry for ICBC Leasing following the 400,000-ton VLOC series.